The Rolling Stones tickets for the band’s Hyde Park concert in July sold out in just five minutes. Despite fans voicing concerns about the high cost of admission, which started at £95 ($150), the 65,000 tickets for Hyde Park gig went within minutes of being put on general release on Friday morning. AEG Live promoter Rob Hallett said the response had been “incredible”. Tickets cost £95, although there were hospitality packages for sale at up to £299, but Rob Hallett said basic ticket-holders would not lose out. He said: “The band wanted the regular ticket-holders to be right at the front of the stage staring at the whites of their eyes, not 200 yards away. “The people who have coughed up for hospitality packages will get looked after in a way they have never known before. The Rolling Stones will headline the Hyde Park gig in July, almost 44 years to the day they played a famous free concert in the central London park. The band will also headline Glastonbury and play a north American tour later this year. The Rolling Stones first ever concert in Hyde Park, which was on 5 July 1969, was just two days after the death of founder member Brian Jones and marked the live debut of his replacement guitarist, Mick Taylor. 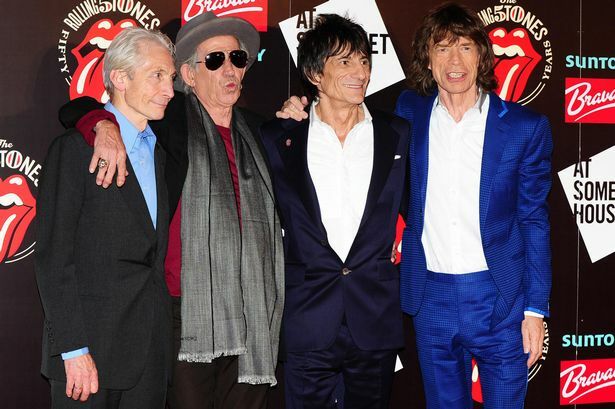 Guitarist Keith Richards said he hoped there would be “some emotion involved” in the new gig.